Last week, Samoa hosted a flying visit by the Vice President of East Asia and Pacific, Victoria Kwakwa. Having arrived on Wednesday night, she met with Prime Minister, Tuilaepa Sa’ilele Malielegaoi, Minister of Finance, Sili Epa Tuioti among other key government officials and after a quick trip to Savai’i, she was gone. Before she left though, she promised the World Bank will “significantly increase” its support for Samoa. The assistance, she said, will come from the International Development Association funds which is to increase from US$360million to US$900 million. “The World Bank has been a long-term partner of Samoa, and our team is proud of what we have already achieved together, including supporting the reconstruction of key roads, and the reinvigoration of the Samoan agriculture sector,” said Ms. Kwakwa. Well that’s great news. We’re sure glad that Ms. Kwakwa had a jolly good time in Apia and now that she has returned, it’s important we think about these developments, why they matter and what it means for you, me and all of us. We say this because there is still this nagging concern about this country’s ballooning foreign debt we cannot help but think about with all these promises of more millions to come. The fact is when all is said and done, you, me and everyone else in this country who will end up having to fork out to pay for it. That includes our children, their children, their children’s children and the thousands of unborn Samoans who will inherit the legacy of debt the current crop of leaders are piling up for them to clean up. The worst part is they cannot be held accountable then. And many of us might not even be around then when the chickens come home to roost. It is the future generations of this country who will suffer. They are the ones we should be concerned about. Which means it is negligence of the highest degree for us to continue to ignore this huge elephant in the room. We don’t need to revisit the conversations. 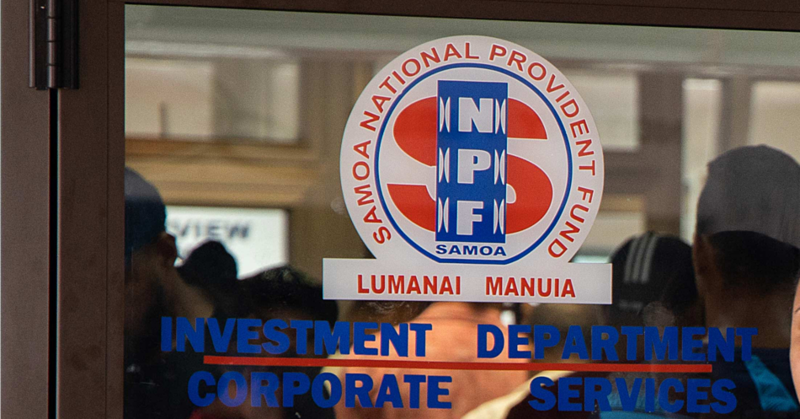 You see the issue of Samoa’s foreign debt has been debated over and over again with the same response from the government. To be fair to the government, it does have a valid point about the need to borrow money for developments to materialise. The reality is that for a small country like Samoa, we simply don’t generate revenues sufficient enough to fund the absolute basic infrastructural developments. This is why borrowing becomes necessary. But take away the political innuendos and we are bound to find that it is not so much the issue of borrowing that is alarming. Just about all countries – including the most powerful nations – borrow. Over the years, we’ve seen how this menace called corruption has been allowed to fester so that today it looks incurable. And it’s not just the major instances of wrong-doing that are alarming. It’s the abuse of government fuel, maintenance costs and the dishonesty in collecting revenue that is vital for development. It is about the public service misusing the internet, printers, phones and basic equipment during work hours – and even after work hours. And then there is the reckless spending by certain Cabinet Ministers in buildings that end up becoming white elephants, draining millions of tala that could have been better spent. Now speaking of that, what has become of that $600,000 Ministerial office at the S.N.P.F. Plaza? We could go on and on but you get our drift. Getting back to the issue of debt, despite the assurances from the government that there is no reason to panic, we believe there is. For starters, the government just hasn’t shown that it has the ability to improve income and revenue generation. Secondly, it has failed miserably in its bid to try to attract foreign investments, which are vital to create much-needed employment opportunities. That’s on top of multiple failed investments in buildings and infrastructure that end up costing more to maintain. This is why we should be alarmed about our foreign debt. It is our children who will ultimately shoulder the burden. It is they who will be begging for mercy from the lenders. They are the ones who will have to deal with the mess that is our foreign debt today. They are the ones who might have to give up things that are theirs by birthright as they struggle to front up to the debtors. Is that the future the leaders of today want them to have?